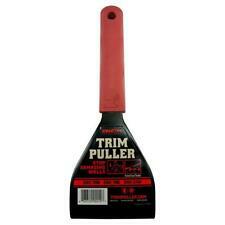 IS ONE NEW Zenith Industries ZN700001 Trim Puller Multi-Tool. An impact absorbing EDPM rubber handle provides increased user comfort and its robust 48 Rockwell c heat treated steel construction provides durability. Hand Crank Industrial Patcher Sewing Machine, Not Including Table Stand Motor. l Lockstitch Single needle sewing machine have cylindrical bed sewing or repair heavy materials canvas ,shoes, boots, slipper, bags, dolls and shoes bottom and any cylindrical goods, as well as suitable for the stitching of tubular work in leather and canvas. Complete Set of Industrial Sewing Machine with Servo Motor, Stand & LED L amp. DDL-8700 Industrial Single-Needle Sewing Machine, Complete Set with Servo Motor & Power Stand, High-spee d with Lockstitch. 3 Needle 5 Thread Hemming machine with pneumatic lifter, cutter, suction and table. 289-689-4187. FlatSeamer, 4 needle 6 threads, cutter, suction and table. 289-689-4187. Thread Winder: Built-in the Machine Head. Equivalent toJuki Models,DDL-9000 ,DDL-9000A ,DDL-9000B. Direct Drive High Speed Single Needle Lockstitch Machine, by NewTech COMPLETE SET. Stitch Length:5mm. EXCELLENT OPERABILITY The stitch can be adjusted in both the normal and reverse directions. The height and inclination of the feed dog can be adjusted. Specifications Max. sewing speed 2,000 stitches per minute Max. This reduces costs associated with less efficient devices. 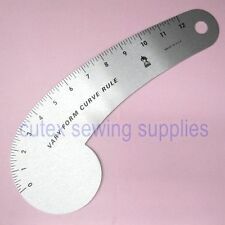 It's another proud addition to Gold Star Tool's excellent inventory of cutting and sewing supplies. Specialty thread. Dress and body forms. Singer 114W103 Chain Stitch Embroidery. They were also used to stitch designs on western clothing as well as many concert outfits for people. Embroidery designs hand work, these machines are also used for african bu bu clothing. 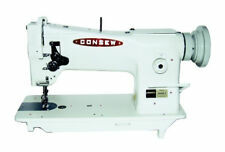 The Consew 206RB-5 gives you 3300 stitches per minute, making it a high-speed tool. Stitching materials like wearing apparel, outdoor clothing, and canvas shoes; this Consew industrial sewing machine sews even the toughest of the materials. Trending at C $1,872.93eBay determines this price through a machine-learned model of the product's sale prices within the last 90 days. Power: 550W. DDL-8700 Industrial Single-Needle Sewing Machine, Complete Set with Servo Motor & Power Stand, High-spee d with Lockstitch. It is a professional in seaming bags of rice, flour, animal feed, fertilizer, chemicals, gravel, charcoal, or anything you can fit in a bag. 2 needle 4 thread cylinder-bed serger pneumatic lifter, cutter on back includes table and suction unit. 289-689-4187. This machine is a single needle, straight stitch, lockstitch sewing machine with reverse. Assembly is required. Sewing machine parts and accessories. Iron and steam presses. It is self oiling with reverse. Power: 550W. Complete Set of Industrial Sewing Machine with Servo Motor, Stand & LED L amp. DDL-8700 Industrial Single-Needle Sewing Machine, Complete Set with Servo Motor & Power Stand, High-spee d with Lockstitch. Product description: Voltage:220V/50Hz Power :40W Speed :1400r/min 1:12.5 Cutting width :0-80mm Weight :15-17kg Package size :47*26*36CM Packing list: Host 1 16 diameter blade 5 1mm gasket 10 2mm gasket 10 5mm gasket 8 10mm gasket 8 Foot switch 1 Fixed wrench 1 Six angle wrench 3 Maintenance: 1, the lubrication hole filling oil regularly, prevent the rotation axis of normal lubrication and wear or killed. 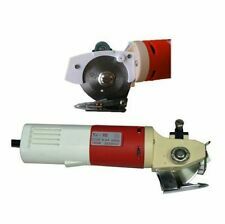 2, should pay attention to safety when using, do not reach out her hand to the blade when the machine is turning. 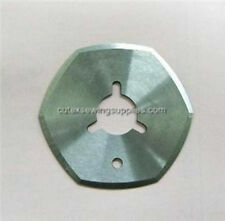 3, use for a long time that the condition of the rod nylon washer, serious breakage of workpiece in cutting burr should be off work at this time,open beside cover board, use special wrench to loosen the nut, loose screws, unload swingin. Zig Zag Lockstitch Sewing Machines by New-Tech. Zig zag plate, straight stitch plate, and embroidery/darning plate included. Zig zag/satin stitch and straight stitch feed dog included. 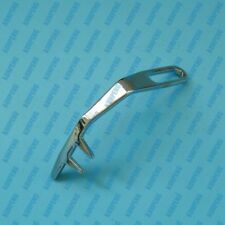 Adopt special big specification hook that improves the work efficiency. 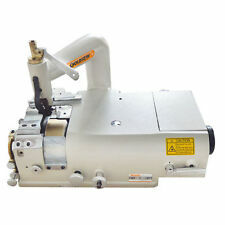 Industrial Sewing Machine for apparel and interior fabrics. Sewing Speed - 5,00sf/min. Max Stitch Length - 5mm. Sewing machine parts and accessories. Iron and steam presses. Specialty thread. 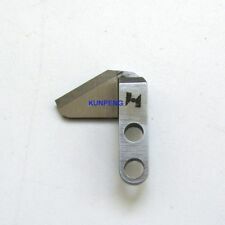 Presser Foot - By knee - 13mm. 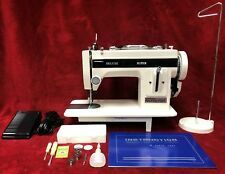 4.5 out of 5 stars - JUKI DDL-8700 Sewing Machine with Servo Motor, Stand & LED LAMP "FREE SHIPPING"
62 product ratings62 product ratings - JUKI DDL-8700 Sewing Machine with Servo Motor, Stand & LED LAMP "FREE SHIPPING"
This standard size vertical hook walking foot (triple transport) cylinder bed machine is a new model with industry accepted features and styling. It features a sliding lever thread take up, a lever type stitch regulator and inside belt to drive the top shaft and hook shaft at ample speed. This reduces costs associated. 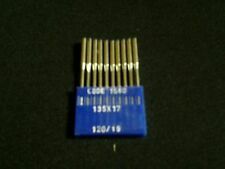 It's another proud addition to Gold Star Tool's excellent inventory of cutting and sewing supplies. There's also an automatic. Sewing machine parts and accessories. What happens if we need more verification?. 110V Portable Electric Bag Stitcher. Pc manual bag stitcher and accessories. ●Voltage: 110V. Such as agriculture chemical industry transportation business etc. . The machine has a new table and a new motor that was used once. I, sorry I dont know much about the specs on it but I am willing to answer whatever I can. I do know what it is worth and how good it sews. 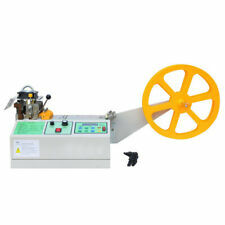 Sale for New Carlyle Johnson Machine and Co MAXITORQ Cluth Model No. 24, all the specs for this Model are marked RED on the Chart below. MAXITORQ Clutches may be used for a wide variety of applications. Zigzag Sewing Machine. Only sewing machine head. 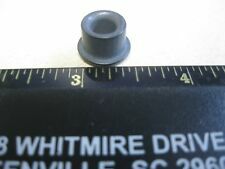 United-Carr M 100 1002 100-1 Grommet Eyelet Snap Rivet Fastener Press Tool.